We sell and repair most Car Radios, Speedometers, Gauges, Instrument Panel Clusters, Amplifiers (including Bose), CD Players and Changers. We fix radios (including AM and electronic tube) from any year. Our extensive inventory of current and discontinued parts is very competitively priced. Most repairs have a one-day turnaround. Pick-up and delivery available. Our repairs are guaranteed. We are happy to provide advice by phone or e-mail. 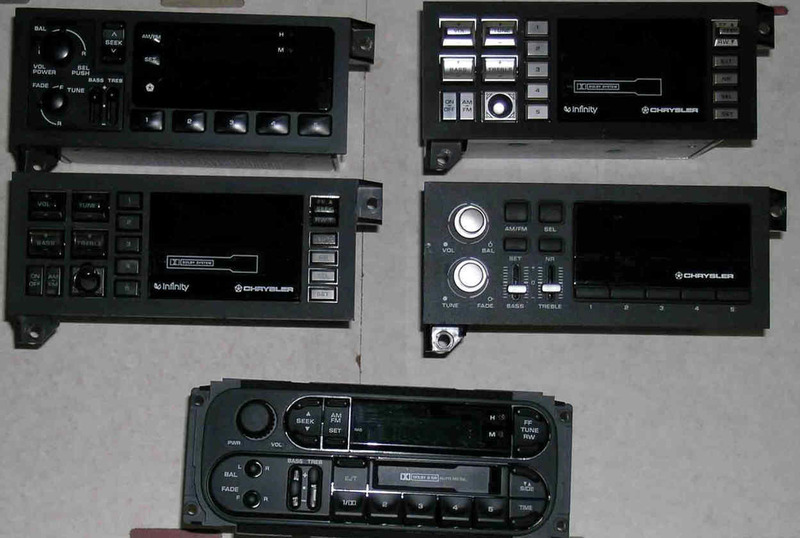 We repair, sell or exchange most Chrysler Car Radios. Most repairs have a 2-3 days turnaround.